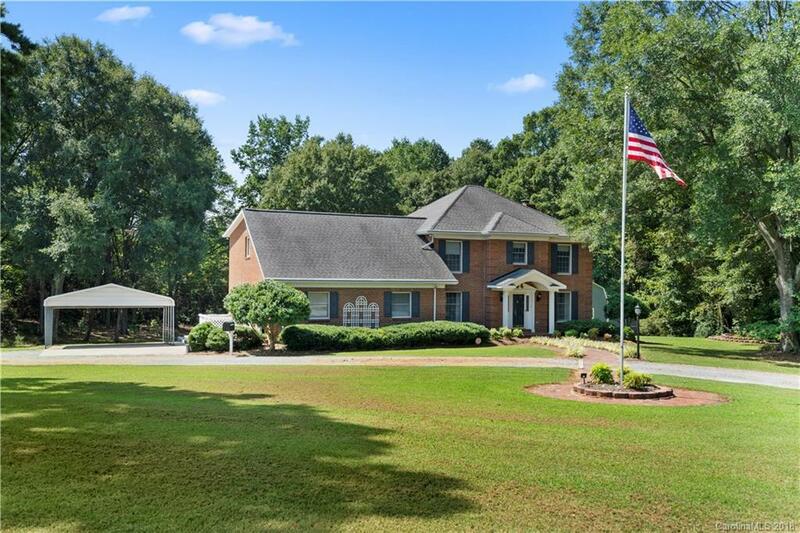 Beautiful 2-story brick home 7.81 acres in private setting, more than 20 additional acres available, features formal areas, large sunken great room, updated kitchen with quartz counters and new appliances, bathrooms with granite and ceramic tub and shower surrounds.Master suite has dbl. sinks, tub, shower & WI closet. Heated floor in master bath. Central vacuum system. Over-sized 2-car garage with storage room. Screened porch and decks. Surrounded by mature shade trees in award winning Clover School District. Move in ready. A must see.